Ever since its establishment in 2002, JW Bio has been making research and development to find solutions to hair loss. We acquired a patent for a new technique, low-temperature nano-extraction method, which enables the biologically active substances of seaweed herb, or cereals to be extracted into a very small particle size without losses at a low temperature. 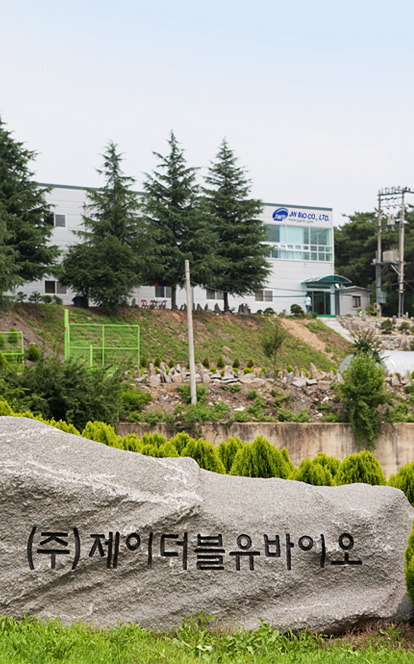 The seaweed kinds (Zostera marina L. and kelp) applied to the product through the extraction process has been recognized as the company’s own proprietary component from the Korea Food and Drug Administration, thereby making the product acquire a sanitary aid permission (JW12®). Our company applies various peptides or proteins or functional bioactive materials to the product, as well as algae, herb, and grain, through research. We are doing extensive research in the field of adipose tissue derived from plant stem cells and adult stem cells plant stem cells in cooperation with related companies and organizations in order to develop new products. As our company has acquired an international standard ISO22716 of CGMP (Current Good Manufacturing Practice), we have secured a certification for the manufacture and production management of the product at an international level. Now we are exporting to the United States, Europe, China, etc. Currently, JW Bio’s products are being sold in hospitals, pharmacies, department stores, beauty salons etc, and are supplying materials or ODM products for University Hospital and Regional dermatology clinics, herbal clinic, etc. We pursue for world-class product development in the hair loss field. Through Right Management, Ethical Management, Human Resources Management and Transparent Management, we seek for the growth of our company and become “light” and “salt” and create a sound model of a company by returning part of our profits as social contribution to the construction of better society.